Virginia's adult day care center are a vital social service providing supervised day-time assistance and recreation to thousands of seniors and the disabled every year. Available to those 18 and over, Virginia's licensed adult day care centers provide adults with a regulated facility that ensures reduced-risk activities and services conducive to the well-being of those in its care. Virginia adult day care centers are licensed or approved by Virginia's Department of Social Services. Only those centers operated for profit are required to be licensed; nonprofit centers may be licensed upon request. Adult day care centers provide supplementary care and protection during part of the day to aged or infirm and to disabled adults who reside elsewhere. Adult day care centers licensed by the Department of Social Services cannot be located in a facility or portion of a facility licensed by the State Board of Health or the State Board of Mental Health, Mental Retardation and Substance Abuse Services or in the home or residence of an individual who only cares for persons related by blood or marriage. Some unlicensed adult day care centers are operated in homes or other facilities to provide primarily socialization and recreation programs for adults. For example these may be found as senior centers, in churches and synagogues or may be operated by a governmental unit, corporation or association. Regardless of operational organization or location, if licensed, the license to operate as an adult day care center must be posted clearly within public view. 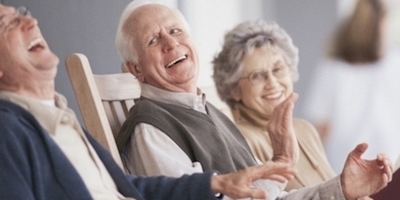 As with other types of long-term care facilities and services, adult day care centers should be able to meet each participant's needs under the program as it is offered. Therefore, all licensed adult day care centers require an entrance assessment profiling each applicant's capabilities and needs. other physical or emotional restrictions that may apply. Virginia's licensed adult day care centers are required to schedule individual and group activities for their participants. Because viewed together the participants' assessments form a profile of the group's abilities, activities can be designed to match the abilities and skills of all participants. This approach promotes a high level of independence and individuality. An individual's economic limits are also recognized in the planning of activities. Providing Good Nutrition--Licensed adult day care centers are required to provide meals and snacks for their participants. Even when participants choose to bring their own food, they are usually encouraged to eat the center's food because it is nutritionally balanced and designed to provide a set percentage of the current recommended dietary allowances as set by the federal government. As you can see, Virginia's licensed adult day care centers are regulated to provide positive environments for their participants. If you, a family member or friend need these services, you can feel assured that licensed or approved Virginia centers provide a very good option for care. Providing Rehabilitative Opportunities--Some licensed adult day care centers can provide rehabilitative services at the center through full-time staff or through a special arrangement for those services. Ask the centers you interview about their capabilities in rehabilitative services. You may also find out about the nearest options by calling the Virginia Department of Rehabilitative Services.